Morgan James Publishing, 9781614489559, 178pp. The thing that is most beautiful about a woman is her confidence, but her confidence is deeply rooted in her beauty and is quickly deflated by comparison. To solve this dilemma, today's society strives for flawless beauty; even the godly wrestle with feelings of determination or despair over their image, but only the Supreme Stylist can give you a makeover that lasts a lifetime He did it for many women in the Bible such as Eve, Mary and the woman at the well and their examples will inspire you to let God change you as well. Image- and life-coach Catrina Welch shares fresh insights regarding image issues that women face and the various coping mechanisms that they use. She explains the six general styles of feminine beauty and how each of them deals with confidence conflicts according to their clothing personality. Tamar and Abigail were both women in abusive relationships but they each handled their situations differently. Catrina shares why she feels one of them must have had the image identity (Img.ID) of a glamorous Romantic and the other was a sporty Natural. Understanding others and yourself is the key to confidence. "Confident Beauty" includes simple surveys that will guide you in assessing which Img.ID you are and general guidelines will teach you how to accentuate your individual style. These are the keys to empowering you to take care of yourself in order to forget about yourself and focus on others. Catrina Welchhas been in the beauty industry for nearly thirty years as both a cosmetologist and an image consultant. 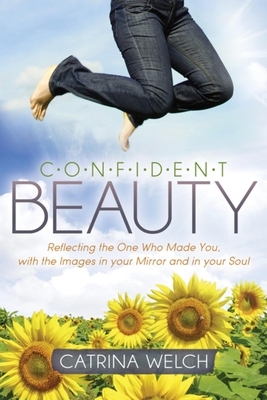 With a certification as a Biblical Life Coach, her passion is helping women overcome confidence conflicts, especially in the area of beauty, rejection and loss.